For most of us it’s hard to think about ferns without thinking about cool, shady, and moist places like well-watered gardens or deep forests. Yet ferns have come to live even in the Chihuahuan desert where conditions are exactly the opposite – hot and dry. 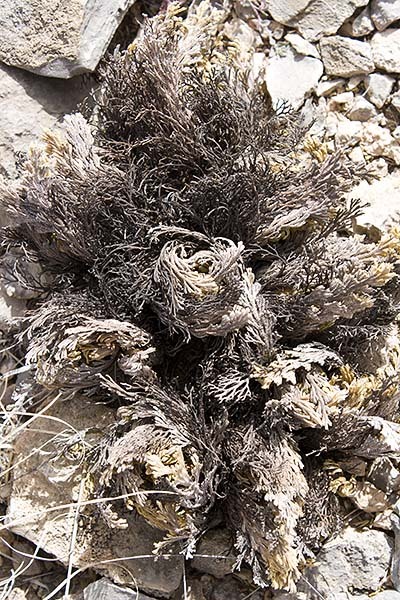 How can such water-loving plants survive in the desert? Ferns are one of the most ancient plant groups surviving today. They first appear in the fossil record in the Carboniferous period, over 300 million years ago. Living in vast coastal swamps, they completely dominated plant life of the era. But as the weather grew warmer and drier, ferns began to die out. Though they no longer dominate the plant kingdom, they continue to be successful today – there are over 12,000 varieties worldwide. They range in size from about an inch high to 12 foot tree ferns. They live in deserts and rain forests, at sea level and near the timberline. Their spores have been found at airline-cruising altitudes. Most ferns today are confined to wet areas, but a few have adapted to drier conditions and some have even become completely xeriphytic. 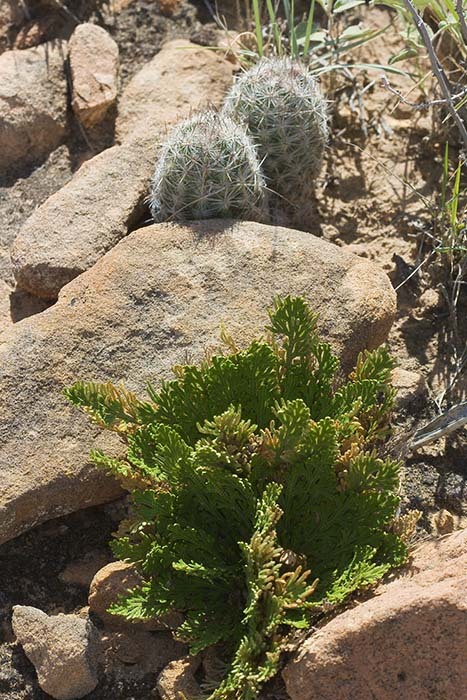 Desert ferns use many familiar mechanisms to tolerate conditions in the Chihuahuan Desert. 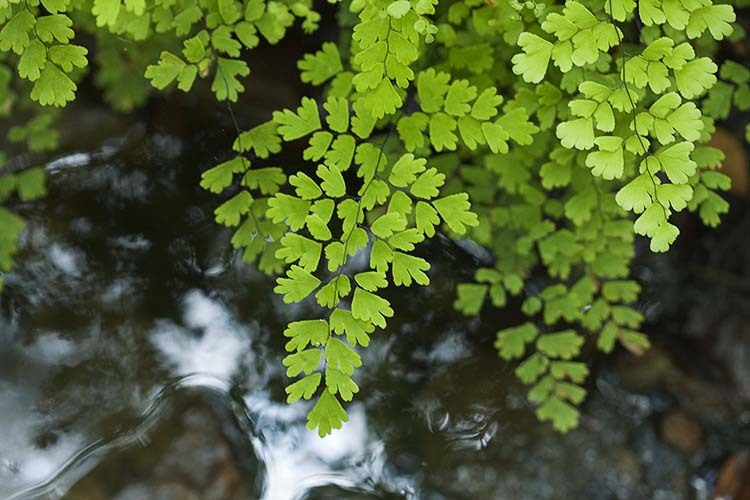 Some ferns, like the Maidenhair Fern, only grows where reliable water is available. Others are not so picky. 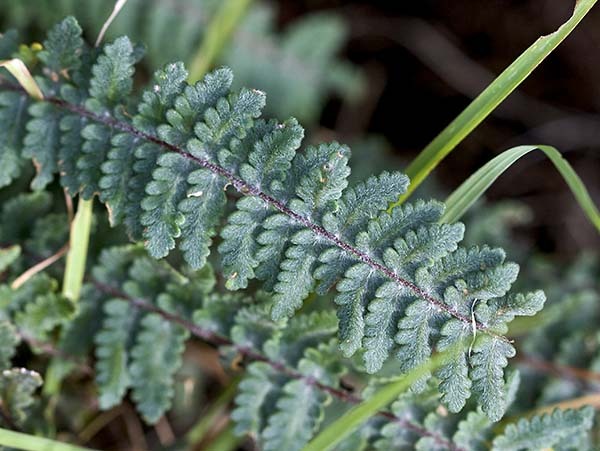 For example, most desert ferns have small fronds which are shaded with hairs, scales, or waxy coatings. Their cell walls are thickened and their stomata sunken. Others clump together or form dense mats or grow in sheltered, shady micro-habitats that mitigate changes in water availability and reduce exposure to higher temperatures. Desert ferns have one remarkable ability – they can completely dry out, and seemingly come back to life when water is again available. Desert ferns are, in a sense, always prepared for drought. They create special proteins that minimize the damage caused by being desiccated. When moisture returns, other proteins quickly set in to repair the damage caused by the drying. Some of these proteins are similar to those found in maturing seeds and may, indeed, be the original forms of these proteins. Producing and maintaining all these proteins and other defense mechanisms requires energy; for that reason, desert ferns tend to be smaller than their water-loving relatives. 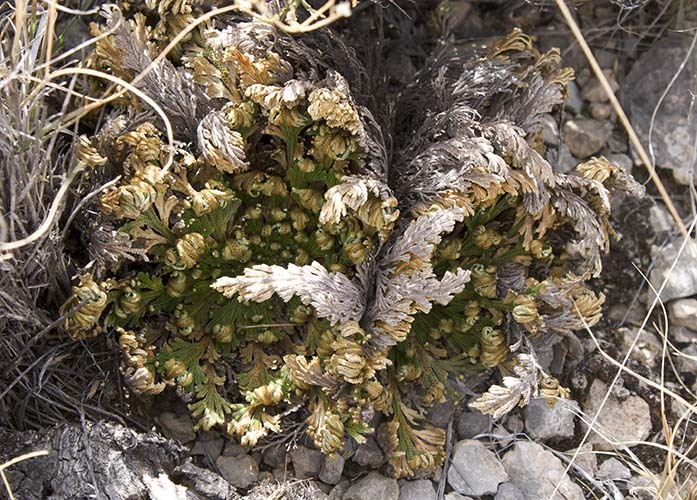 Desert ferns, like others of their kind, do not flower or set seed. Instead, they release spores. Spores are single cells wrapped in a protective coating. 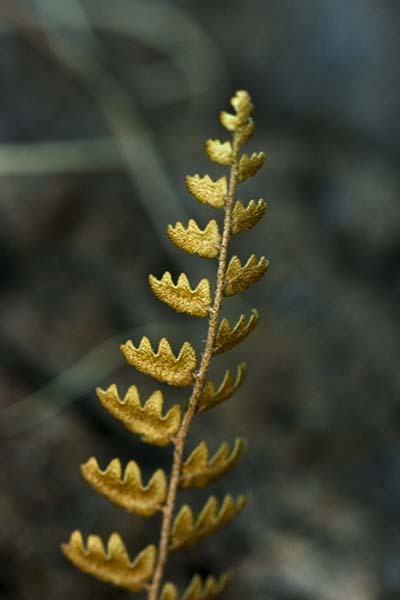 If you look on the underside of a frond, you may see little brown spots. 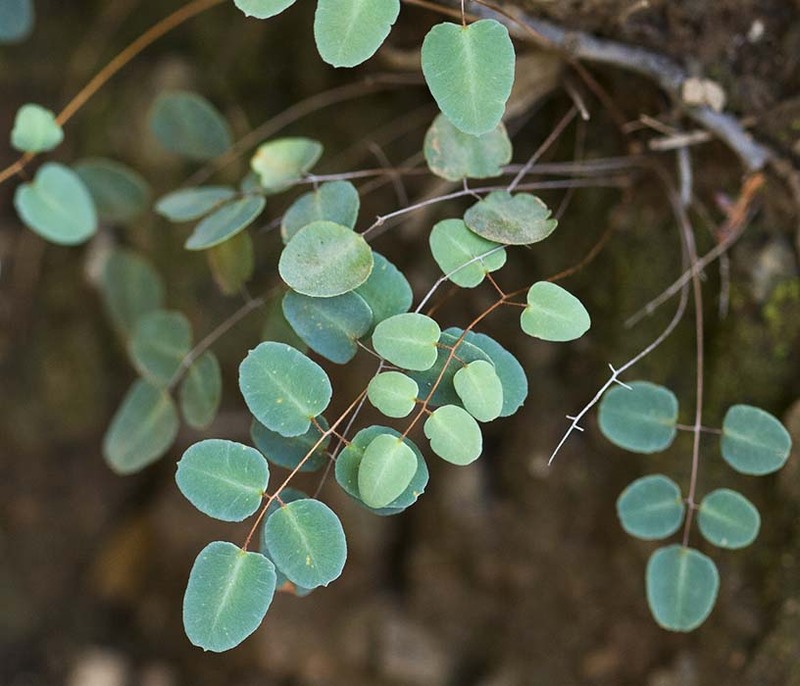 They may appear in patterns, or be hiding under the curled outer edge of the leaf. These are the spores which the plant will release when conditions are right. In many ferns, the spores are so numerous that the underside of the frond is brown compared to the color on the top side. 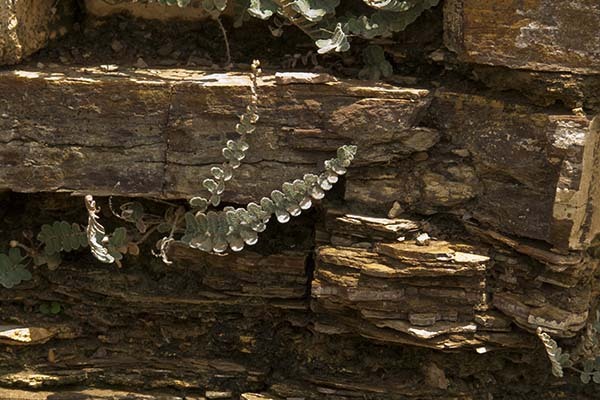 Desert ferns are most attractive when they’re green, and most fragile when they are dry. Be extra careful when examining one of these plants during the dry months. 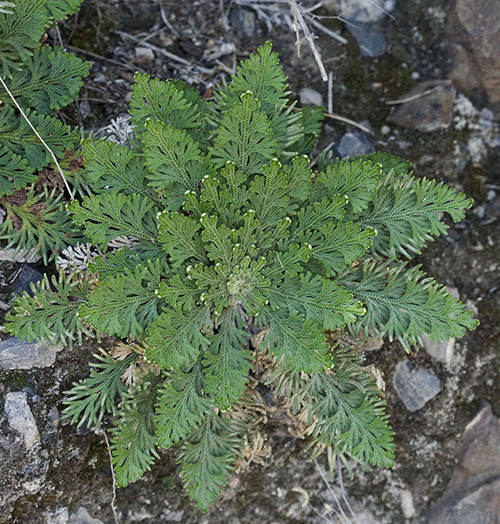 Look for them growing from beneath rocks or in cracks and crevices of rocky hillsides. Once you begin to recognize them in their desiccated state, you’ll soon discover that ferns grow almost everywhere in the Chihuahuan Desert. this article. I am hoping the same best product within you later on as well. site-building is dispersing it’s means quickly. The article is a good illustration of this. 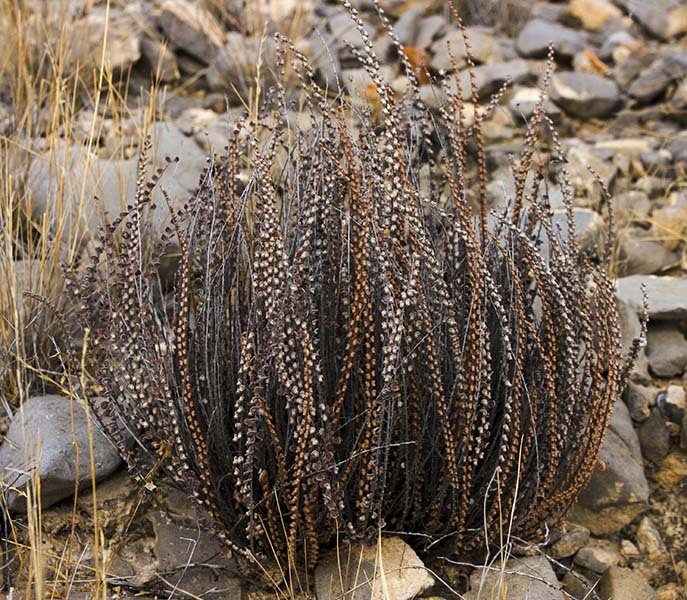 This was fascinating to read about desert ferns. We are surrounded by ferns on all sides here in Western Washington…on the ground, in the trees, on fallen logs…..so I really enjoyed learning about another environment where they grow. Thanks! Thanks for that – our desert ferns are so dried up and possibly even damaged from this past winter, it may take a while to better photograph and ID them like you have with yours’! Some are similar to what you show, though. 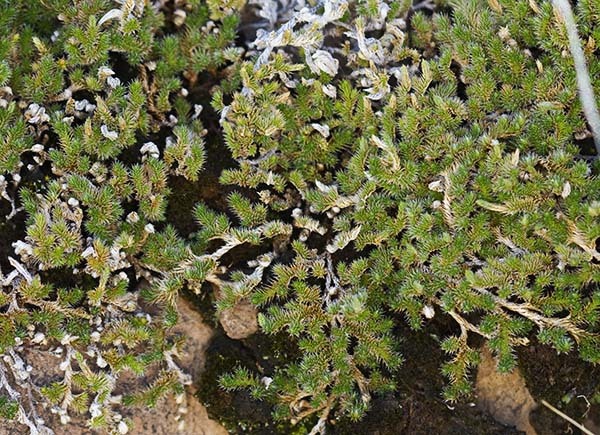 The resurrection plant, spike moss are nice – never have seen those.